Encapsulating the best of Sri Lankan hospitality and the World Heritage charm of Kandy, our home-turned-hotel is the preferred address for those who want to stay in the middle of it all. Located within walking distance from all key attractions and transports hubs, Sevana caters to a wide range of guests with its basic Budget (Fan) Rooms, functional Standard Rooms and luxury Deluxe Rooms. 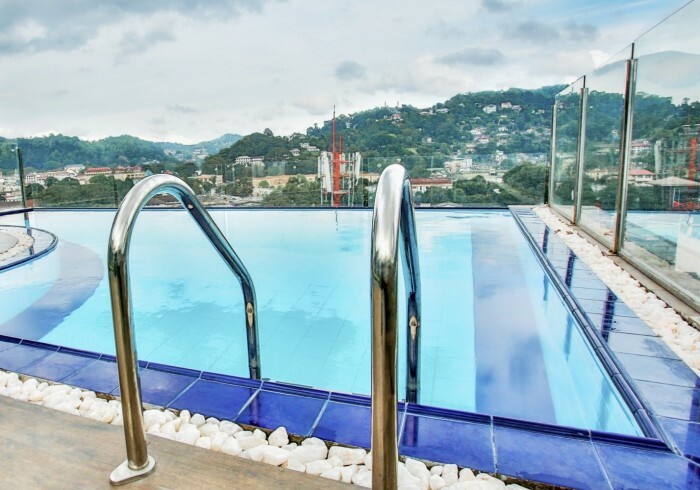 The unique local experience at Sevana continues with hotel-like conveniences including an infinity edge plunge pool and a roof top dining room overlooking the city skyline and its enveloping mountains. A dedicated team complemented with owners who live on site will ensure that every aspect of your stay will be taken care of.